Welcome to MJ Performing Arts Academy! At our studio we build happy, healthy, fit, and confident dancers. After moving to Missouri in 2012, MJ Performing Arts Academy owner Meg Jordan began teaching dance classes at home. The number of students quickly grew in just a few months. In 2013, Meg decided to open her 1st studio in Webster Groves. In a brief 2 years, with the help of her amazing staff members, the number of dancers grew exponentially! After reaching 200 students, Meg decided to invest and relocate to a much larger space to accommodate the growing number of dance families. Our beautiful location includes 3 large classrooms, each with large viewing windows for parents, high ceilings, professional dance and gymnastics flooring, as well as a spacious lobby with plenty of seating. 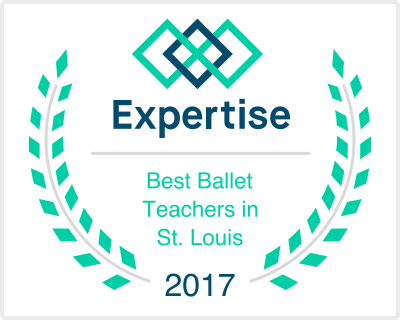 Due to our professional and passionate teaching staff, the studio has grown to over 300+ families from Webster and the surrounding community. Ages of students range from 18 months to adult. Many of the MJ staff members have graduated from, or are current members of Webster University. Check out our staff bio pages to learn more about our team! MJPAA offers a wide range of dance classes, including Acro, Adult Drop In Classes, Aerial Silks Dance, Aerial Yoga Fitness, Ballet, Ballroom, Cheer, Contemporary/Modern, Dance Team Prep, Hip Hop, Ninja, Preschool Creative, Preschool Gymnastics, Preschool Hip Hop, Private Lessons, Special Needs Music & Movement, Tap, Technique, Tots on the Move, Tumbling and Yoga. Classes are available to all ages, regardless of level of experience and/or gender. MJ Performing Arts Academy has created a unique curriculum for all styles of dance. Our small class sizes and experienced teachers create an engaging, non-competitive but challenging and fun learning environment. New members are offered free trial classes to find a ‘best fit’ class. Based on individual needs and ability levels, we always recommend classes that will make each student feel confident and successful.